It’s been a hotter than usual summer at the Korean box office with a slew of local films smashing records and lifting theater sales to new heights. Kundo: Age of the Rampant burst out of the gate first before Roaring Currents sailed its way straight to the top of the record books and finally The Pirates cruised in to pick off whatever was left of the summer. But following the blockbuster bonanza of the last month, the time has come to shift attention from the big-budget commercial fare to the industry’s auteur-driven independent output as we enter into festival season. Kicking off the calendar is the Venice International Film Festival and three of Korea’s most venerated filmmakers returned to the Lido for its 71st edition, which kicked off on Wednesday, August 27th. Not only have IM Kwon-taek, KIM Ki-duk and HONG Sangsoo been featured in Italy’s illustrious film jubilee before, but between them, they have collected an impressive store of awards including the top Golden Lion prize, which went to KIM’s Pieta in 2012. The first film to screen this year was KIM’s One on One, the prolific provocateur’s 20th work, which served as the opening film of the festival’s sidebar program Venice Days. A polarizing work that failed to be selected for Cannes earlier this year, One on One is a bitter revenge tale with trenchant social threads which already screened in limited release domestically back in May. While One on One may not receive the same international exposure as KIM’s recent works, he remains an important name on the international scene with a film that is sure to draw, if anything else, strong reactions. In addition to 2012’s Golden Lion, KIM also won the Silver Lion for Best Director in 2004 for his film 3-Iron while his films The Isle (2000) and Address Unknown (2001) have also screened in Venice. Visiting Venice with his 16th film is the equally prolific festival stalwart HONG Sangsoo. Competing in the Orizzonti section, Hill of Freedom is another internationally flavored work from the cineaste, following the Paris-set Night and Day (2008) and the Isabelle Huppert-starring In Another Country (2012). Featuring Japanese star KASE Ryu and frequent collaborator MOON So-ri, who earned the Marcello Mastroianni Rising Star Award in 2002 for her unforgettable performance in LEE Chang-dong’s Oasis (2002),Hill of Freedom is also the shortest work in HONG’s catalogue, at a svelte 67 minutes. 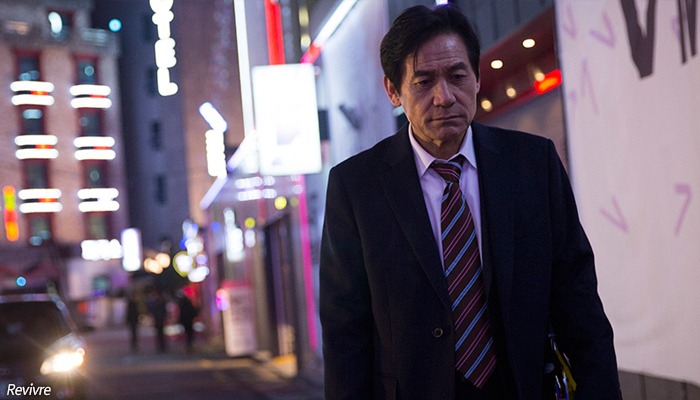 In the film, KASE plays a Japanese man who visits Korea to reconnect with an old flame and in typical HONG fashion, finds himself drinking and eating with a coteries of colorful characters along the way. Like In Another Country much of the film’s dialogue is in English. HONG was previously featured in the Orizzonti section with 2010’s Oki’s Movie. Premiering on September 3rd in an Out of Competition slot will be IM Kwon-taek’s Revivre, the master filmmaker’s 102nd film, coming four years after Hanji. Despite 50 years in the director’s chair, IM seems to have lost none of his passion as he teams up once again with screen legend AHN Sung-ki for a personal film that explores questions of morality, humanity and life and death. In the film, AHN plays a middle-aged man who finds himself torn between his younger lust (KIM Gyu-ri) and his ailing wife (KIM Ho-jong). IM has visited Venice before, most notably in 1987 with The Surrogate Woman. That film was the first Korean work to garner a major prize at one of the top three international film events (Berlin, Cannes and Venice) when KANG Soo-yeon picked up the fest’s Best Actress prize. Most recently he strode the Lido in 2007 with Beyond the Years, as well as a decade ago with the period gangster film Low Life (2004). The film’s title, Revivre, is a French word that means ‘to live again’. Meanwhile, the films’ Korean title ‘Hwajang’ is a homonym, which means both makeup and cremation. This triumvirate of Korean powerhouse filmmakers mark a strong showing for Korean cinema in Venice this year but some have opined on the lack on fresh Korean talent on show. In recent years the festival has given berths to emerging auteurs such as KIM Kyung-mook (Stateless Things, 2011) and JEON Kyu-hwan (The Weight, 2012) but this year’s selection seemed content to rely on tried and true names with long histories at the festival. Both Hill of Freedom and Revivre will continue onward to the Toronto International Film Festival (TIFF) for their Masters section. With a special ‘City to City: Seoul’ program for its 39th edition, TIFF will present 14 films this year. All three of this year’s Korean films at Venice are represented internationally by distributor Finecut. The 71st edition of the Venice International Film Festival wraps up on September 6th.